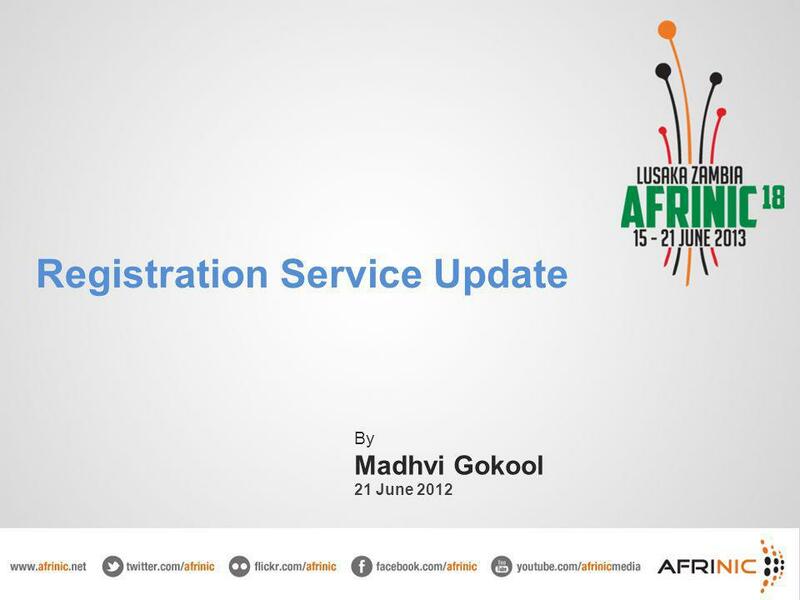 Registration Service Update By Madhvi Gokool 21 June 2012. 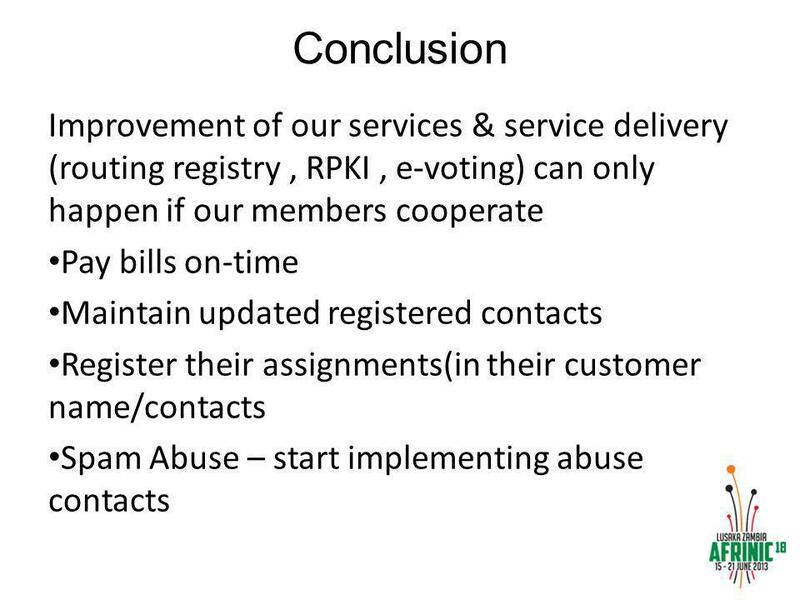 Download ppt "Registration Service Update By Madhvi Gokool 21 June 2012." 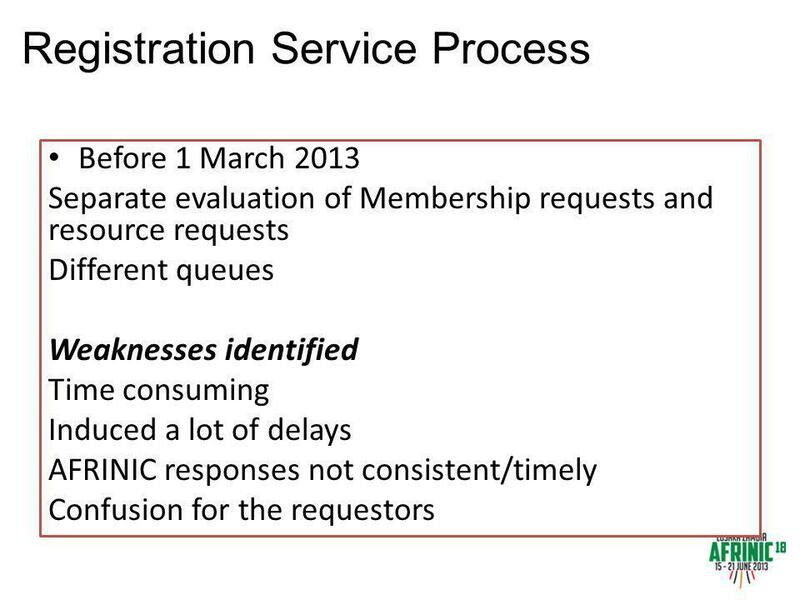 Registration Services Feedback Andrea Cima RIPE NCC RIPE 66 - Dublin. 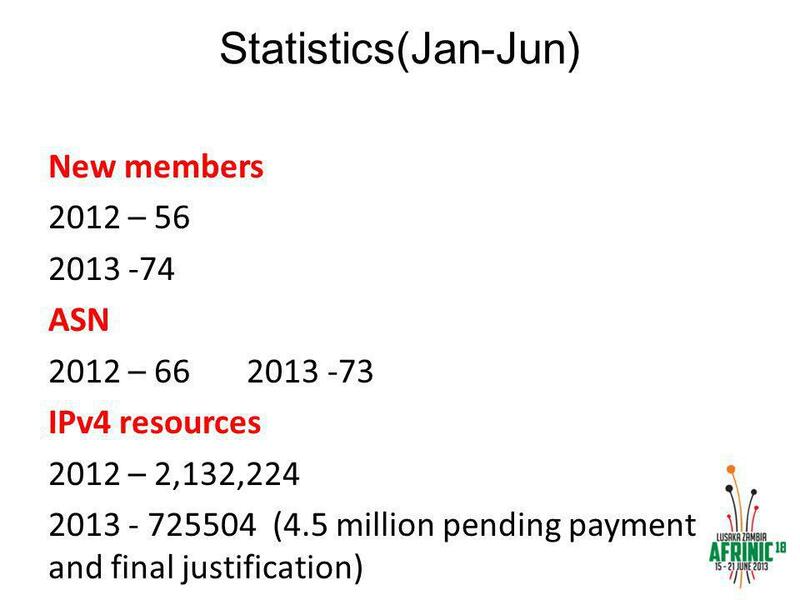 June 2008 Internet Number Resource Report. INTERNET NUMBER RESOURCE STATUS REPORT As of 30 June 2008. March 2010 Internet Number Resource Report. INTERNET NUMBER RESOURCE STATUS REPORT As of 31 March 2010 March 2010. 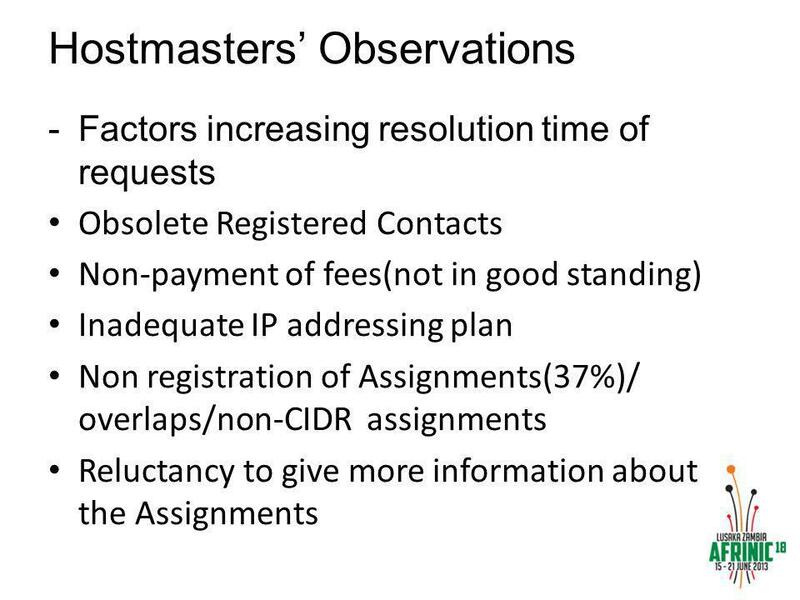 1 First NIR Meeting Current NIR Address Request Process Overview and Proposal March 1st, Korea, Seoul. Copyright (c) 2002 Japan Network Information Center Introduction of JPNICs New Registry System Izumi Okutani IP Address Section Japan Network Information. 1 [prop-040] Proposal for APNIC non-member annual service fee Annual Member Meeting 8 Sep 2006 APNIC 22, Kaohsiung, Taiwan Save Vocea. 1 Taiwan Routing table statistics – a new service in TWNIC Ching-Heng Ku IP Department TWNIC. TWNIC RMS Update 16 th APNIC NIR SIG TWNIC Sheng Wei Kuo Aug, 2003. 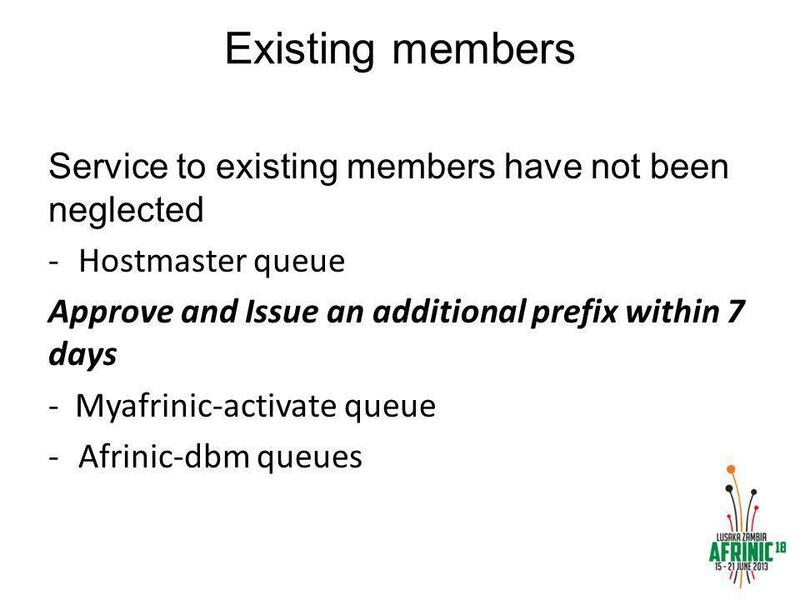 ARIN Update NANOG 55 – 6 June 2012 Mark Kosters Chief Technology Officer, ARIN. 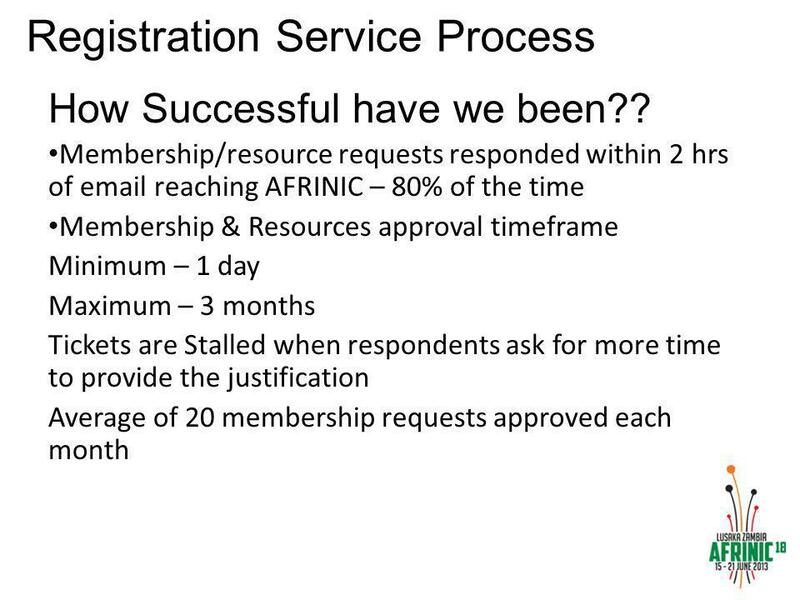 ARIN Update Leslie Nobile Director, Registration Services. Patrisse Déesse. 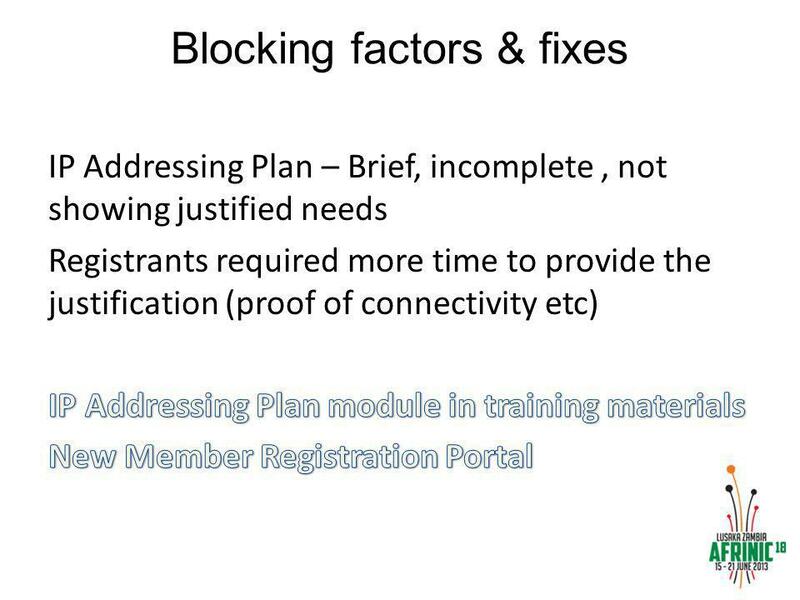 AFRINIC Finance Function Updates General Updates General Updates 2012 Financial Review 2012 Financial Review Challenges Challenges Prospects. 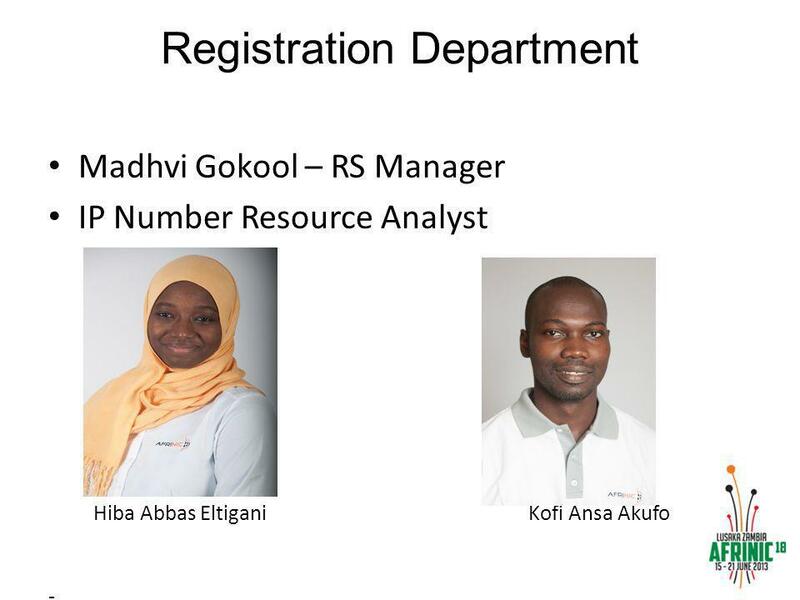 Spearheading Internet technology and policy development in the African Region Resource Services Report. Internet Number Resources 1. Internet IPv4 addresses IPv6 addresses Autonomous System number Fully Qualified Domain Name Key Internet resources. 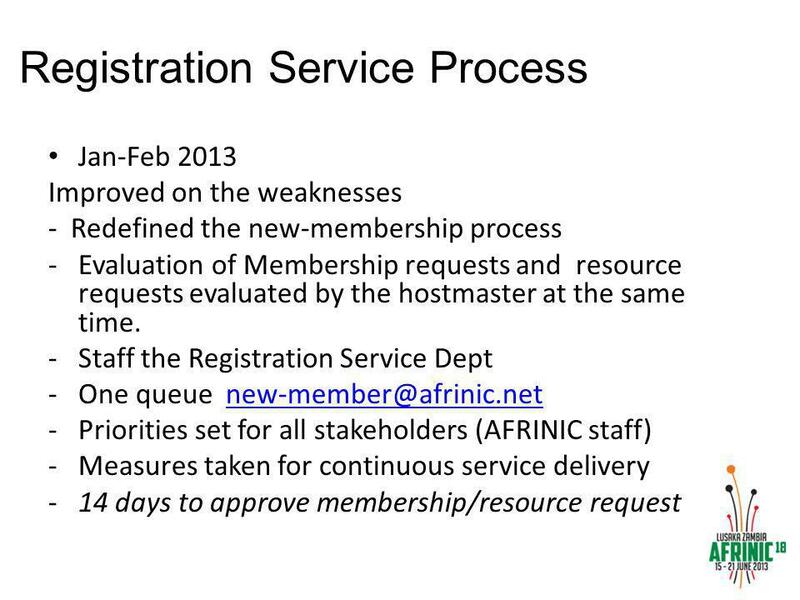 1 News from APNIC AfriNIC 9 27 November Coming up Some numbers Some service updates Some policy news 2. Cellular Telephone Use Guidelines AA Roundup June 27, 2007. 1 Overview of policy proposals Policy SIG Wednesday 26 August 2009 Beijing, China.